There is a reason why stalking hoofed game is commonly known as the premium class of hunting. The stalker moves slowly and silently through the forest. In his local hunting territory, he takes his usual stalking routes, which he regularly clears of twigs and leaves so that he can tread noiselessly. A crucial element in stalking is the wind, which the hunter should always consider to avoid scaring off the game. 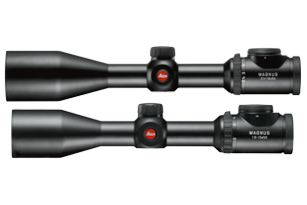 Equipment, including optics, should be lightweight and versatile, if possible. 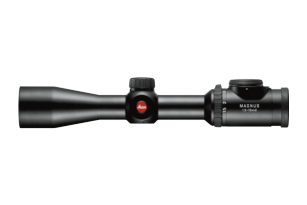 Hunting in the mountains is especially challenging and hunters must make sure to have the right equipment. 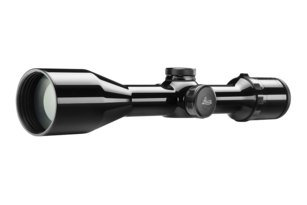 It should be lightweight and at the same time allow shooting at long distances. 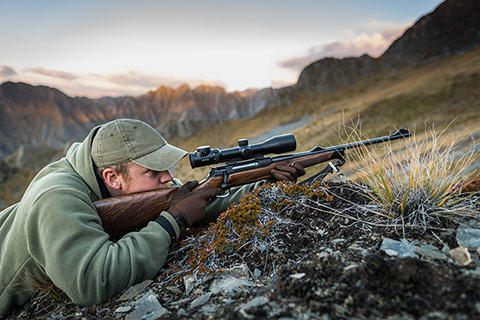 The often-difficult terrain is demanding for the hunter, his rifle, and also his riflescope. 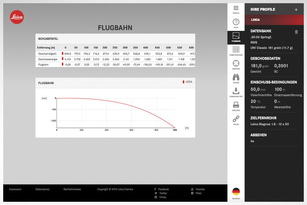 In addition, he has to consider wind and ballistics: the wind flows are different from those in lowland areas, and the altitude changes the bullet trajectory. 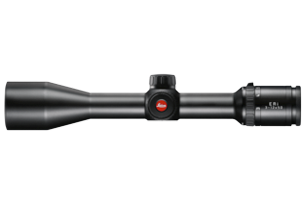 Therefore, hunters rely on rangefinders with extended ballistic functions and riflescopes with high magnification. 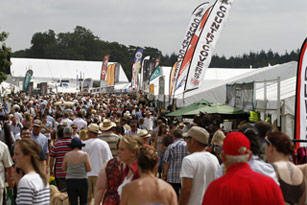 The driven hunt is carried out with a shooting party and has become rather popular recently. It usually takes place in forests and the preferred quarry is fox and all kinds of hoofed game. 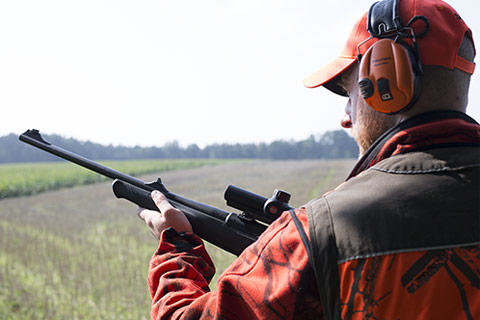 With respect to the number of shot game, it is considered the most efficient kind of hunting. 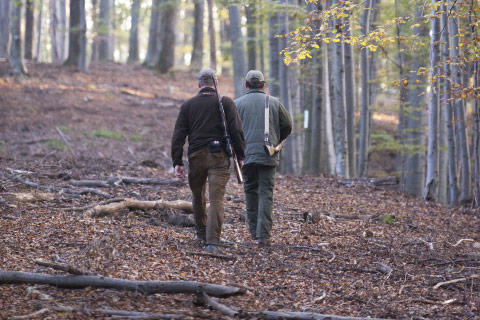 On driven hunts, the game is flushed by well-trained dogs and drivers who are familiar with the territory. 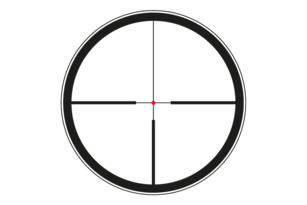 In this way, the game is driven towards the hunters’ rifles at game passes. 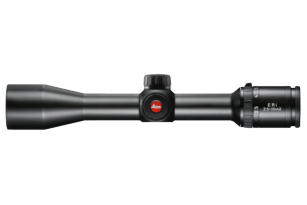 There is often little time to identify the passing game with binoculars, so a lightweight riflescope with a wide field of view is necessary for what are usually intuitive shots. 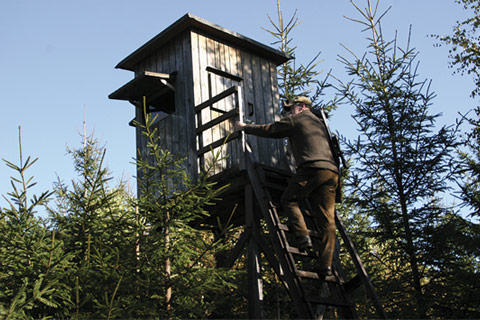 A classic kind of hoofed game hunt is from high seats, set up at game passes, forest edges or bait sites. The hunter waits in the high seat from early dusk sometimes to late into the night (wild boar hunt). 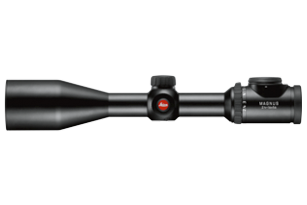 For safe identification in unfavourable light conditions, the hunter has to rely on the best optics. 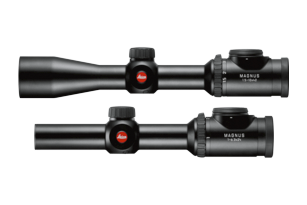 High magnification and a large lens diameter of a minimum of 50 mm are just as important as an optimal field of view.